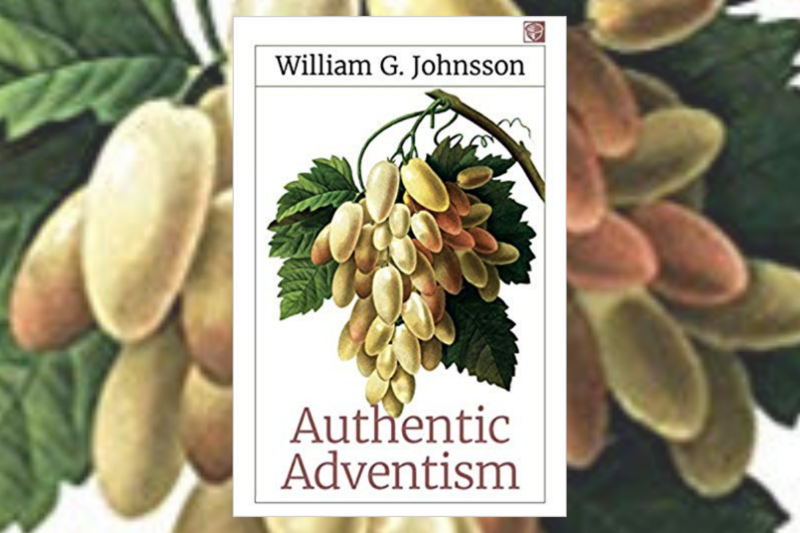 Editor's Note: Below is Chapter 10: "Two Women, Two Seats," from William G. Johnsson's latest book, Authentic Adventism, courtesy of the publisher. The book is available for purchase on Amazon here. December 1, 1955, a woman sitting at the rear of a bus in Birmingham, Alabama, was arrested and jailed. Her offense? She refused to give up her seat on the bus. Rosa Parks was black; the passenger who wanted her seat was white. By refusing to surrender her seat, Rosa Parks broke the prevailing Alabama law. More than 60 years later, few people would call her a lawbreaker who deserved to be punished. To most Americans, what she did was right. Rosa Parks has become an American hero. Fast forward to the Seventh-day Adventist Church in 2018. Officers of union conferences who refuse to cease ordaining women ministers find themselves in a situation similar in basic respects to the one faced by Rosa Parks. For three Annual Councils in succession, General Conference leaders seem determined to punish “the non-compliant unions.” They have failed twice, but they refuse to give up — while all around us people are desperate and dying for the hope that only Jesus brings. I marvel at this misdirection of time and resources. If the latest proposal from General Conference leaders gains a majority vote, these union leaders will be stripped of voice and vote in the church’s councils. This would be a new day for the Seventh-day Adventist Church. From the earliest years of our existence, we have staunchly upheld individual conscience as something conferred by the Lord Himself. We have argued for religious freedom in countless courts. We have taken a public, official stand — not only on behalf of Adventists but also for others whose views we do not share but whose religious liberty is under threat. All that will change if the action passes to “punish” union leaders for obeying their conscience. We will be found in the extraordinary position of “punishing” our own because they put conscience ahead of General Conference policy. It will be a sad day for this church. I pray that it will not happen. Let me share my thinking about this momentous situation. I do so as a voice — the voice of a layperson who resides in the Pacific Union, one of the unions that finds itself caught in the crosshairs. I will confine my remarks to this union — this part of the Adventist family where I attend church each Sabbath and return tithes and offerings. Let me say it loud and clear: there is no “rebellion” in the Pacific Union. To suggest otherwise is arrant nonsense. Life and ministry go forward quietly and powerfully for the glory of the Lord and His mission. Sick people are being helped and healed every day. Elementary schools, academies, colleges, and universities minister to children and young people. The word of God is proclaimed Sabbath by Sabbath by pastors, many of whom are women. The Lord has blessed the Pacific Union. Here we find the church’s premier Adventist institution — Loma Linda University and Medical Center. “Loma Linda” has become a name known throughout the world for the quality of its education, medical ministry, and research. But Loma Linda University Health is not all one finds here, not by far. Adventist Health nonprofit health system serves more than 80 communities on the West Coast and Hawaii. Founded on Adventist heritage and values, Adventist Health provides care in hospitals, clinics, home care agencies, hospice agencies, and retirement centers in both rural and urban communities. These health professionals are transforming the American healthcare experience with a whole-person focus on physical, mental, spiritual, and social healing. You will find this whole-person focus in the union’s school system as well, recognizing that the student is more than just a mind to be filled with facts — preschool through university. In this union one finds La Sierra University, a top-drawer institution with fine faculty and an outstanding campus. And Pacific Union College, an institution famous for its education for more than a century. And more, much more: many hospitals and schools, agencies too many to list, dedicated to a large variety of ministries. This is a wealthy and faithful union. Over the last four decades $4.88 billion in tithe has been carefully accounted for and distributed by the Pacific Union Conference to the properly assigned levels of the church, including the General Conference Treasury. That is billions, not millions. Can any other union in global Adventism approach this figure? Does this sound like a union “in rebellion”? Nonsense! But the picture could change, perhaps drastically, if the General Conference leaders persist in their punitive action and succeed in gaining a majority vote at the 2018 Annual Council. Many, perhaps a large number of loyal Seventh-day Adventist members, will rise up and protest against what they perceive as a morally indefensible action. They will express their righteous anger in the most effective way they know — through their pocketbooks. Respectfully, I offer my advice to the General Conference leaders: Don’t kill the goose that lays the golden egg. So I urge: Please, leave Pacific Union Conference alone to carry out its mission. Don’t get in the way. Things are going well here. Don’t, please don’t mess it up. I know personally the officers of the General Conference. They are good people, servants of the Lord who labor long and hard, seeking the best good for the Seventh-day Adventist Church. Somehow they have convinced themselves that the unity of the worldwide Seventh-day Adventist Church requires that the non-compliant unions be brought into line. I can appreciate their passion for unity — I share it — but I think that the way they hope to achieve unity is dead wrong. Not only will it not preserve unity, it will have the opposite effect. Its result will be disunity: possible fracturing of the body and grievous harm to the mission with which the Lord has entrusted us. What should General Conference leaders do in this situation? Nothing. Do nothing to upset what the Lord is doing through men and women in the Pacific Union. Let us alone to do our job. People and pastors are weary of being called disloyal and rebellious. We aren’t. To many of us here, the ordination of women pastors is a moral issue just as clearly as was Rosa Park’s decision not to give up her seat on the bus. Don’t trample on our conscience. Wherein is ordination of women a moral issue? The answer is simple. You don’t need a Ph.D. to understand it. Church policy stipulates that administrative positions require ordination. But General Conference policy limits ordination to male members of the clergy, so women are excluded from conference administration. No matter how capable or qualified a woman may be, the church imposes a glass ceiling based on gender alone. This is discrimination — no other word for it. Beyond the moral issue, the proposed disciplinary measure makes no sense logically or theologically. But note: The commissioning service is 100 percent identical to the service that sets apart male ministers. The only difference is that for males the service is called “ordination” but for females it is “commissioning.” Here lies the crux of the matter: The Bible, which we Adventists claim to take as our rule of faith and practice, makes no distinction between ordination and commissioning. Not a hair’s difference. Ordination simply means commissioning, nothing more. The General Conference leaders have painted themselves into a logical and theological corner. Although on a biblical basis, the two terms are identical. In light of these facts, charges of “rebellion” and “non-compliance” fall flat. The whole matter is one of words — words only. Incredible: Adventists have been wasting time and resources for the last many years on a word game. When will we get real and focus on mission to dying, desperate men and women? Well, you may reply, if ordination and commissioning are alternate names for one and the same service, why not simply use the non-loaded term “commissioning” instead of “ordination” for setting apart women pastors? The answer is also simple: Because General Conference policy perpetuates the unbiblical distinction between ordination and commissioning. It restricts election to administrative leadership to those who are “ordained,” as we already noted. Are you wondering yet why there’s all this fuss over something that boils down to arguments over words? I am. And that’s not all. One final point to chew over. Although many unions in the world church employ women pastors, for whatever reasons the General Conference leaders seem to have focused on the two unions of the North American Division where women pastors are being ordained. But what about China? In China Adventists have a large and growing work — and it is led by women pastors, many of whom have been ordained. In China the state oversees the operation of the seminaries that provide training for the ministry. Large numbers of Adventist women who feel called to the gospel ministry receive their training in these seminaries, and on completion of the course of studies they are formally ordained. What am I saying? That in China the Adventist Church is thriving under the leadership of ordained women pastors. How come the General Conference does not seek to bring these “non-compliant” women pastors into line? I think the answer is obvious. They would risk shutting down our work in China. The dictates of mission demand that the women pastors not be hindered in their work. Likewise, the dictates of mission in the Pacific Union demand that women pastors not be hamstrung in fulfilling their calling. I worked at General Conference headquarters for some 25 years. I counted it a privilege; I still do. But now, 11 years removed from that rarefied atmosphere, some thoughts trouble me. Has the General Conference fallen prey to the malaise that afflicts that other headquarters located in the Washington, DC, area: the United States Congress? Men and women (mainly men) get elected to Congress. Probably most come to town hoping to make a difference for the good of the country. They gradually learn how things work: the levers of power, the machinery, the committees that are key to the system. They put in long hours, participate in endless debate. And something slowly happens to them. Washington, DC, is a beautiful city, especially in the spring of the year. (The climate in July and August is a different story!) They become seduced by the corridors of power, by the prestige that their office brings. Washington and its dynamics take over their thinking, their lives. When they retire or are voted out of office, many hang around, finding jobs as highly-paid lobbyists or consultants. Podunk seems far away, out of sight and out of mind. They have exchanged Podunk for the Washington bubble. What happened to the high-minded ideals that brought them to Washington? What happened to the independent ideas that once motivated them? Life in the bubble subtly leached away their ideals. They spent so much time listening to others who toed the party line that the bubble then turned into an echo chamber. And here am I, 11 years removed from Washington, wondering on my bed in the wee hours if something similar happens to the men and women (mainly men) who work at the General Conference. Did the General Conference become a bubble to me? Did I subtly, gradually become part of an echo chamber? I must confess it: the answer, painful as it is to admit, is Yes. As I think of what this chapter has covered — the logical and theological morass into which I think General Conference leaders have sunk — how else to figure out their thinking unless to see it in terms of the bubble and the echo chamber? Years hence, a researcher studying the Seventh-day Adventist Church in North America during the early 21st century will discover something incomprehensible: according to the official record of the church, the largest conference in the division had no conference president! The official record is maintained in the SDA Yearbook, which is compiled and published annually. It lists every church entity, every conference, every president, every employee of the church worldwide. That is where you go to get the facts, the basic facts about the church. It is, as you might expect, a thick volume. Now, go to the Yearbook for 2017 and look up the data for the Southeastern California Conference. You find members, names, institutions. But look for the name of the conference president, and what do you find? You find a blank. According to the Yearbook, the church’s official and authoritative record, the Southeastern California Conference has no president. Nor did it have (according to the Yearbook) in 2016 or 2015. But Southeastern California does have a president. The conference is growing, financially sound, and ably led. Its president, Dr. Roberts, was elected by a large majority of members at a duly called constituency meeting. What then must one say about the Yearbook? This seemingly incomprehensible fact has a simple but ever-so-revealing explanation: Dr. Roberts is Dr. Sandra Roberts — yes, a woman! When the office of conference president became vacant several years ago, delegates at the duly appointed constituency meeting selected the person whom they considered best qualified for the job — conference secretary Dr. Sandra Roberts. General Conference policy stipulates that in order to serve as a conference president, one must have been ordained. Dr. Roberts has been ordained, but the General Conference leaders refuse to acknowledge it. And her name is not included in the official record. What about this General Conference decision? What to call it? Thus the long, sad story of Adventist women in ministry can be boiled down to something anyone can readily grasp: two women, two seats. The first woman was Rosa Parks. She was arrested and jailed because she was deemed in violation of the law of the State of Alabama. Rosa Parks was denied a seat on the bus because she was black. The second woman is Sandra Roberts. She was elected by the people of the Adventist Church in the Southeastern California Conference. When she goes to Adventist Church headquarters for the meeting of the Annual Council, she isn’t recognized along with the other conference presidents. Sandra Roberts is denied a seat at the table because she is a woman. Noelene and I now live in retirement in the Southeastern California Conference. We return our tithes each month through the conference office. As tithe-paying, loyal members of the Seventh-day Adventist Church, we protest this basic injustice, this discriminatory treatment of our conference president. This denial of basic morality is a case of policy run amok, policy being employed against ethics. It is a denial of authentic Adventism. For a while we wondered why the members of the largest conference in America don’t rise up and demand that the blatant injustice be corrected at once. At last we figured out why: for a great many good, loyal, lifelong Adventists the actions of the General Conference no longer mean much to them. Whatever General Conference leaders may vote or not vote doesn’t make a straw of difference. The General Conference has become irrelevant to them. First, the General Conference needs the Pacific Union more than the Pacific Union needs the General Conference. If the General Conference by some circumstance should just go away, the Seventh-day Adventist Church in the Pacific Union would continue, albeit with loss. If, however, the Pacific Union were to disappear, the impact on the General Conference would be catastrophic. Second, the church is a volunteer body. There should be no coercion, no compulsion in the church. We are Protestants! Our heritage goes back to the Reformers like Martin Luther. We have declared this movement to be heir to that great reform movement. In this context, talk of “punishment” is totally out of place. It does not belong in the Adventist vocabulary; it is repugnant. I write these thoughts in love, not anger; in sorrow, not in bitterness. I am not so naïve as to think my words will be welcomed in some quarters. Be that as it may, my boss is the Lord, the One who gave His life for me. More than anything else, I seek to do what is right in His eyes. In recent years I have been in conversation with an individual, now retired, whom I love and hold in the highest esteem. This brother, who is known to most readers of this book, throughout a long ministry is acclaimed for unswerving integrity, for courage, for speaking out when the times called for speaking out. This man once came within a handful of votes of being elected to lead the world Seventh-day Adventist Church. This leader, like me, is deeply disturbed over current trends in the church, and in particular over the apparent fixation of General Conference leaders on “punishing” the so-called non-compliant unions. During one telephone exchange, he posed a question to me — a question that still rings in my ears. William G. Johnsson is the retired Editor of Adventist Review and Adventist World magazines, and the author of numerous books including Where Are We Headed? Adventism after San Antonio (2017) and Authentic Adventism (2018). Image courtesy of Oak & Acorn.